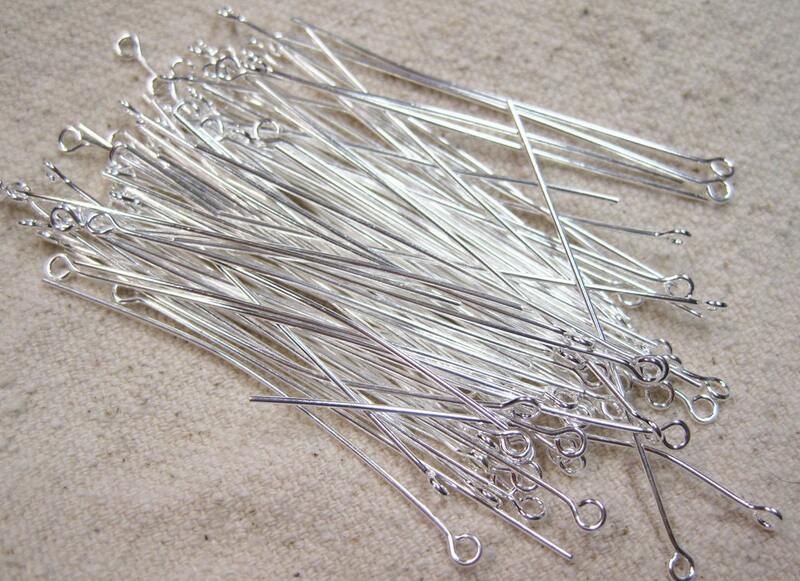 2" Eye pins, silver plated brass, sturdy 22 gauge. The "eye" of the head pin measures 3mm. You will receive 50 eye pins. A jewelry maker's necessity! Thank you. Good quality and arrived quickly. Arrived in excellent condition and just perfect for my decor/craft project - these look great! Great shop, quick shipping and beautiful eyepins.